Wanna know how Urban Outfitters keeps things fresh? Malkie Milstein is designer and CEO of MalkieM Headwear, established in 2007. The company is known for custom designs of hair accessories and baby hats made with close attention to detail, comfort, color and durability. 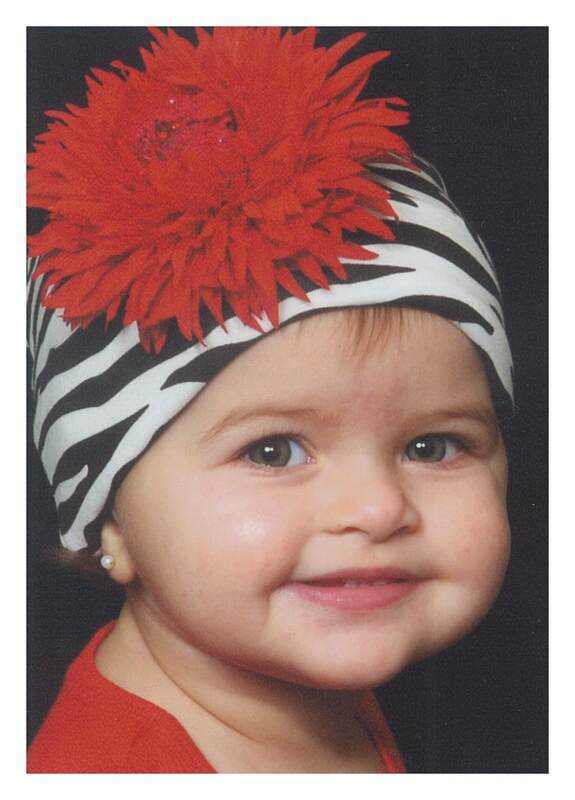 Malkie recently introduced a stylish 100% cotton zebra baby hat with what she calls a “shocking red daisy, a definite fashion statement and people stopper.” Available in several sizes to accommodate the needs of the ever-growing child, including infants and toddlers. Bayá was founded on the idea that travel bags and accessories for today’s women should be exceptional in style and quality. 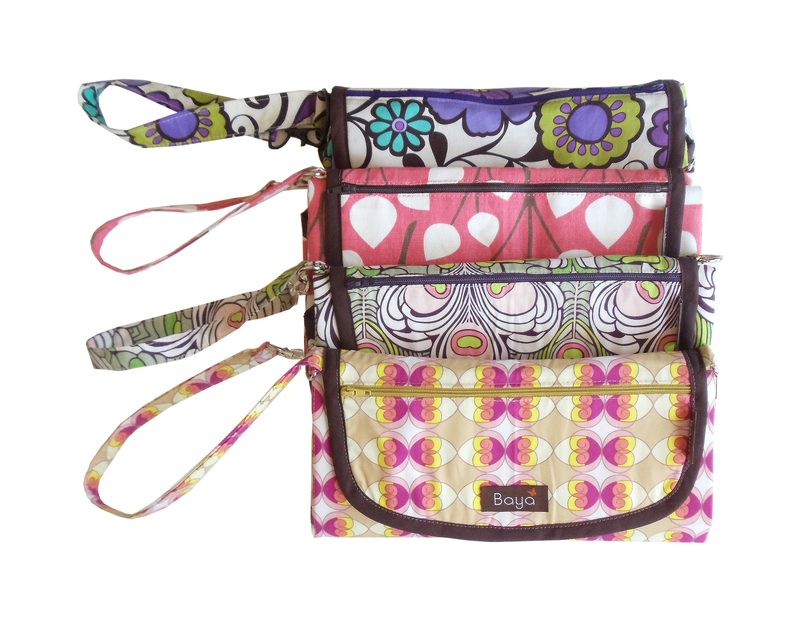 Versatile designs are perfect to tote long after baby outgrows diapers. Australian company aden + anais®, makers of baby essentials, debuts the signature 100% muslin cotton nibble™ snap bib with a unique three-front snap design that adjusts to grow with baby, ensuring a perfect fit from newborn to toddler. Co-founder/CEO Raegan Moya-Jones, is also the author of swaddle love, a candid and practical guide to the history, science and techniques of swaddling. Gerber Childrenswear integrates of an ‘exclusive print assortment’ of Gerber Brand essentials for baby into select Old Navy stores across the United States. The line includes Gerber Onesies® brand one piece underwear, sleep ‘n play one-pieces and accessories for baby, sizes ranging from birth to 24 months and all priced under $15. Tutu Pour Mon Deux makes own custom tutu ensembles for girls. They can choose the outfit style, colors, accents and image, creating a look that matches their personality. Erika Deady-Wohlers, mom of two daughters, with fine arts and architecture degrees, is behind the adorable collection. Erika is actively giving back to those in need, donating one-third of the proceeds from each tutu sold to the Children’s Hospital in Boston. She also dedicates time to raise awareness about congenital heart defects and disease in newborns and children through her new business. LPB Showroom is a new nationwide showroom headed up by Melissa Lopez. Contact her at 714.862.3073. An explosion of growth is the best way to describe action sports company Neff Headwear. 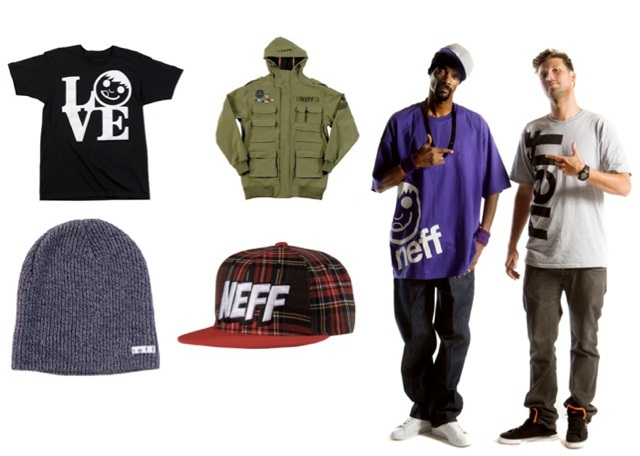 Best known for the staple, perfect-fit beanie, Neff has branched out to include t-shirts, gloves and watches. Since December 2009, the brand has expanded its distribution from 1,000 doors in 35 countries to approximately 3,500 doors in over 40 nations – a whopping 145% growth in one year. and an even more amazing feat as the economy took a hit in the peak of their expansion. With pre-orders for next year up 200% without even opening any new major retailers and expansion into Europe and Asia, Neff Headwear is the brand to watch. 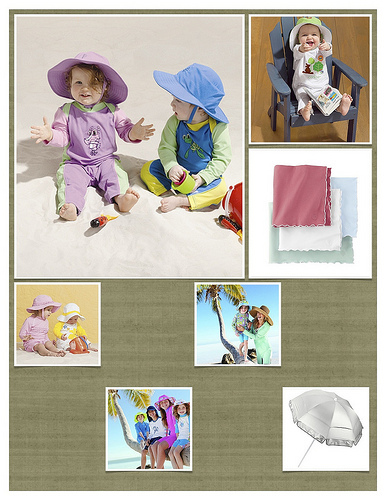 Coolibar, a leader in sun protective clothing, introduces the Coolibar Sun Blanket, made of the company’s ZnO Suntect fabric – a cotton/bamboo/spandex blend that’s soft, lightweight and breathable. It is rated UPF 50+, giving complete peace of mind and priced at $24.00. Bow Allure introduces the new glamorous rose petal glittery velvet ribbon hair clips. in five vibrant colors. The former Rugged Bear children’s clothing stores in Beverly, MA and West Lebanon, NH are reopening with an exciting new name and identity: C&C kids. The change in name coincides with a slight shift in philosophy, now focusing on the active lifestyles families are leading today, and feature several popular and hard-to-find lines of kids activewear and “everyday” clothes. Among the new brands C&C kids will carry are Patagonia, Columbia, The North Face, Helly Hansen and many more. New products aren’t the only differences between C&C kids and Rugged Bear, though. The stores will include a personal shopper experience as well as an even more family friendly atmosphere. Sierra Julian is a luxurious contemporary children’s wear line dressing boys from 6 months to 12 years and girls from 6 months to 16 years. The collection adjusts to every moment of a child’s life with exclusively designed, tailored pieces for adventurous, relaxed, fashion driven experiences. The Baby Bunch announces the new Birdhouse PJ gift box, each opening to reveal a super-soft 100% cotton pajama set with a fun plush toy. The PJs are generously sized for girls ages 0-6 months, 12-18 months, 2T and 3T; And for boys ages 0-6 months and 12-18 months. Kicokids moves to new offices 451 West 24th Street, New York NY, 10011.